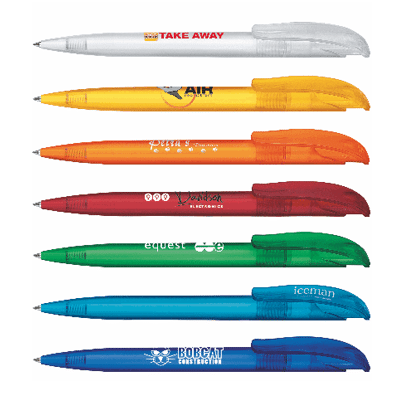 The promotional pen is still one of the most popular branded giveaways. And it’s not hard to see why. 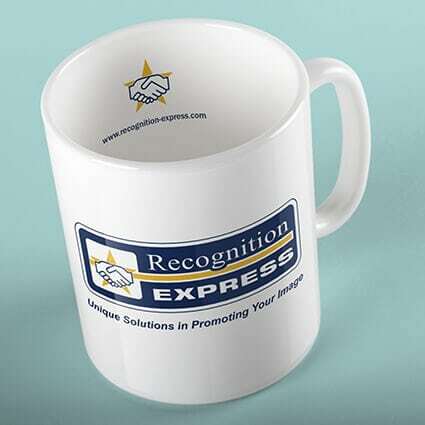 They are excellent value for money and help to keep your name in front of your customers all year round. 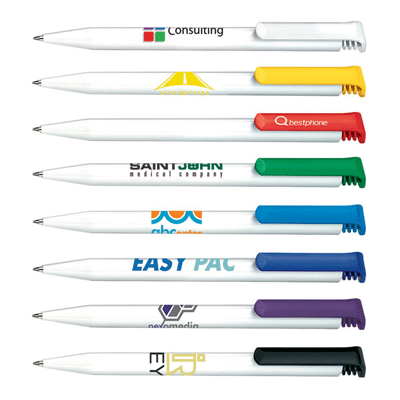 From pens to pencils to highlighters – whatever you’re looking for we have something that is sure to appeal to you – all just waiting for your logo. With literally thousands of different options on pens, it can sometimes be difficult to know which one to choose. 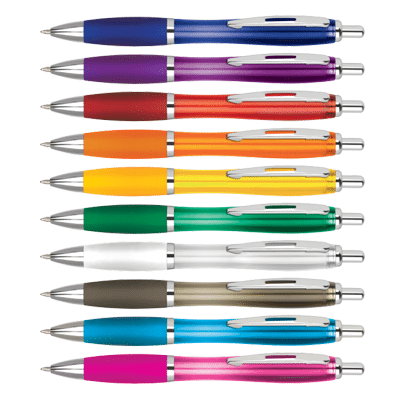 To help, we’ve shown below six of our most popular pens. If you need any help simply call us and we’ll talk you through the various options available to you. Send us your logo and the branding message you want and we’ll pick out some which are more suitable for you. Minimum Order Quantity: 250 pens. 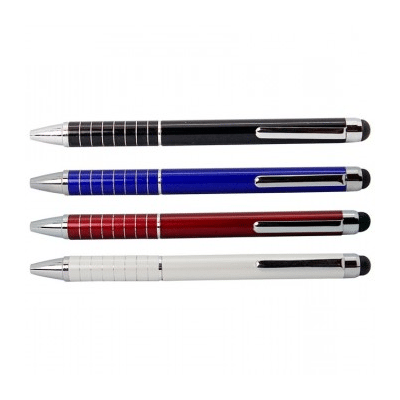 Attractive push-button retractable ballpen with translucent body, chrome fittings and a comfortable matching coloured rubber grip. Colour range includes 10 popular colours. Newly patented barrel has been designed to exploit the full potential of the digital printing process. This allows for a degree of print quality not always available on other pens. With plenty of colours and premium soft-touch finishes to choose from, the Challenger offers endless possibilities. 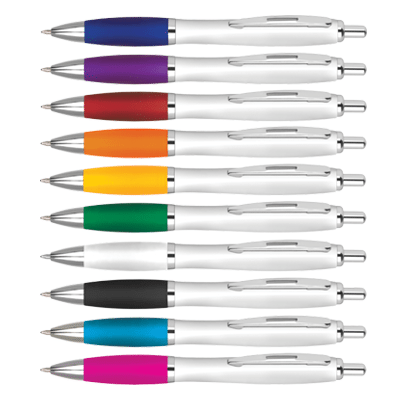 Popular style, push button black ink aluminium pen in a stunning range of bold lacquered colours. Ever-popular and a million-seller — the attractive original Senator® design is music to the ears thanks to the striking clip push mechanism and reliable functionality. 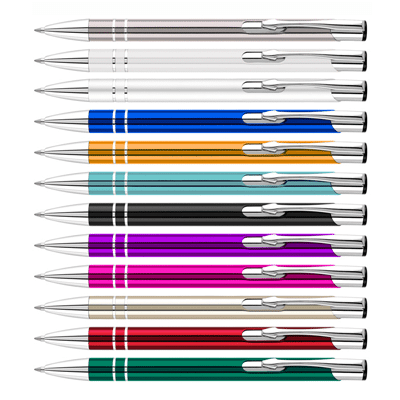 Best-selling twist action ballpen with touch stylus for use with your smartphone or tablet.